New Delhi - The unpopular Indian owners of relegated English Premiership club Blackburn Rovers said on Friday that up to a fifth of the squad could leave and they would not stand in the way of players asking for transfers. "We cannot hold back players. Those who want to leave may do so," director B. Balaji Rao told the Times of India amid speculation that senior players such as goalkeeper Paul Robinson and midfielder Morten Gamst Pedersen are set to leave. "But let me tell you, 80 percent of the players want to stay." Rao stressed again that owners Venky's, a family-owned chicken farm operator, were "here for the long-haul", dismissing speculation that they would look to offload the club. "Me, my brother Venkatesh and my sister (Anuradha Desai), our entire family, have fallen in love with the club. We cannot sell it," he said. "We were certainly not expecting to be relegated. It was the saddest bit of news for me since my mother passed away," he added. "But we will bounce back within a year." Rao echoed comments by his brother and fellow Blackburn director Venkatesh, who said on Thursday that fans of the one-time English Premier League winners were entitled to be critical of the owners. "I can understand that the fans will be upset with the relegation. We, the owners, sympathise," he said, adding that "there will be a lot of changes in the near future." There was no word on the future of manager Steve Kean, the widely criticised Scottish coach who replaced the veteran Sam Allardyce when he was sacked by Venky's shortly after their 2010 takeover. 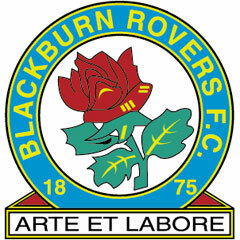 Venky's, which had no experience of sports management prior to their £23 million takeover of Blackburn in November 2010, have been lampooned by Blackburn fans all season. The decision to sack Allardyce was unpopular and they then appeared out of touch, with demands for a top-five finish and a fruitless pursuit of Brazilian superstar Ronaldinho. Fans have been demanding that Venky's dismiss Kean for most of the season. British press reports criticised the absence of the Venky's family at the club's make-or-break Monday night clash with Wigan, which saw the club lose 1-0 and confirmed their drop from England's money-spinning top division.